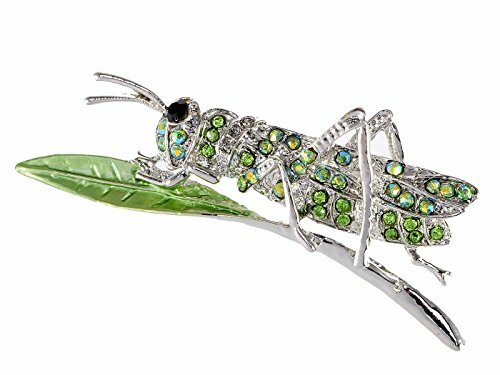 Did you know that grasshoppers have been associated with good luck and prosperity since ancient times? A perfect gift to wish someone well without having to resort to the obvious! 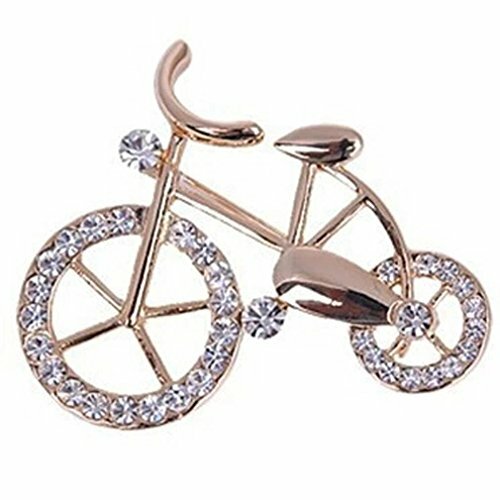 This brooch is a delight with all sorts, whether you're a teacher looking for something fun to wear for your students or someone who just wants to spruce up a top or dress with a little bit of sparkle, this pin is sure to please. 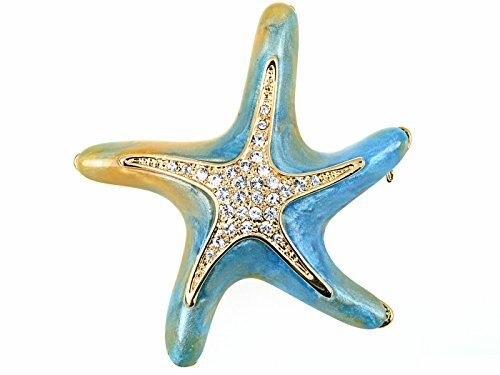 Set in an environmental metal, this brooch features unique design. The brooch is shown as quiet, elegant, and delicate. 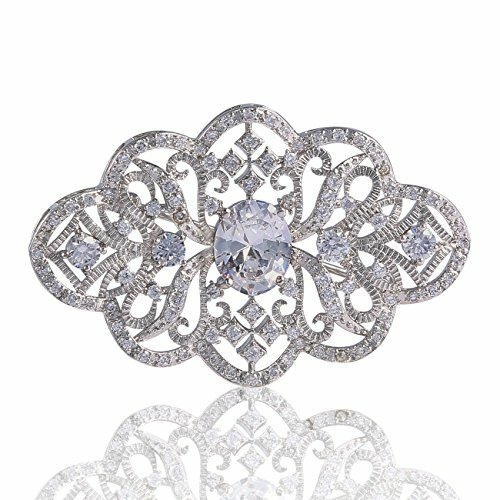 This beautiful brooch will serve as a wonderful gift for your lovers or friends. 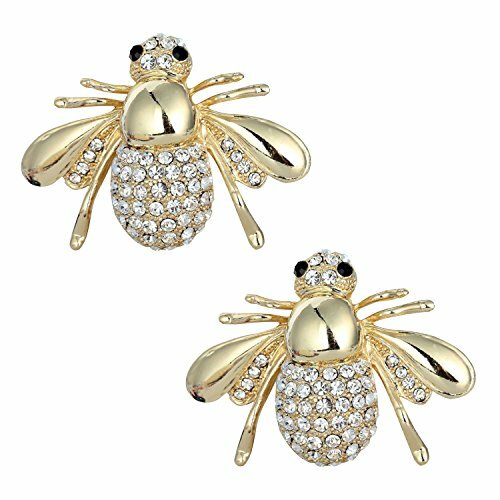 Material: environmental alloy metal, rhinestone.Dimensions: approx 4.7cm(1.85") * 3.3cm(1.30").Weight: about 11.5g. 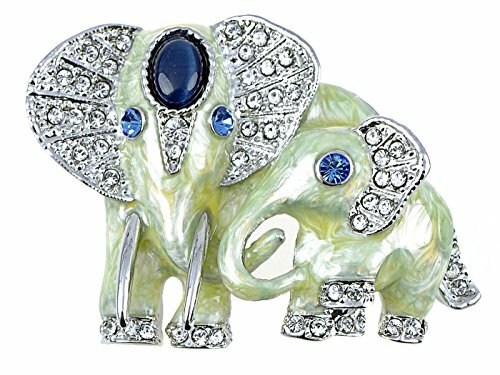 This is a new item for the animal brooch with special design and unique structure. Just catch This Beautiful Accessories for You and your friend. Best Gift for Valentine's Day, Mother's Day, Christmas, Birthday, Wedding. 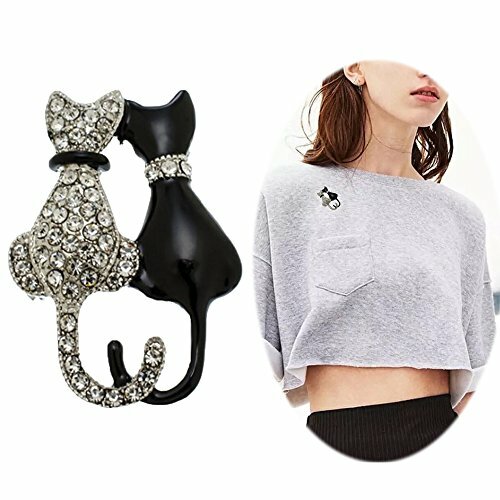 Specification: Dimension: 1.8"*1.1" Material: Alloy with rhinestone Package Contains: Package: 1PCS cat brooch Maintenance Tips: Avoid Chemicals. Please take it away from cleaning products, perfumes, body moisturizer, ect. It can take off the finish and change color. Avoid contact with water, no baths, pools, sea water, etc. If it gets wet that can leave dark water spots which are difficult to remove. Please don't wear it when sleeping. To keep your gorgeous jewelry looking like new, take it off at the end of the day and give it a quick wipe down with a microfiber cloth. Avoid violent collision. It is easy to deform your jewelry. Take it off when you sweating a lot, avoid prolonged wear. It can cause erosion. Please store them in zippered plastic bags, squeeze air out to limit the oxygen that gets to jewelry. Chic Moon works very closely with the very best factories in China to produce high quality fashion jewelry that is still affordable. 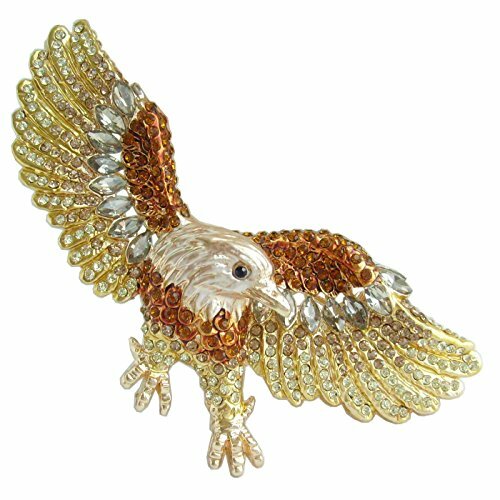 This is a high-quality and charming brooch. Suitable for brooch bouquet, art deco, hats, handbags, clothing, scarves accessories. Intended Use: Wedding/Anniversary/Mothers-day/Valentines-day/Birthday/Party/Prom/Casual Wear/Graduation. We strive for 100% customer satisfaction, its very important to us. We are committed to resolve all issues in a friendly and satisfactory manner. Orders will be sent within 1 business days. If you are satisfied with our product and service, please leave us a positive feedback and all 5-Star ratings, thank you so much. If you have any other questions, please feel free to contact us. Your opinions about our products or our service are much appreciated. Arrival time: It usually takes around 15-25 days for arrival. 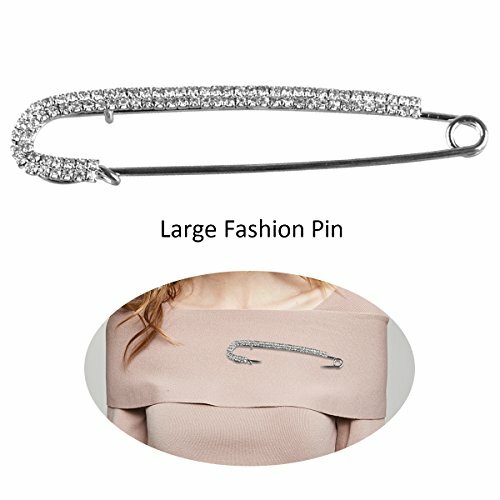 Please choose the suitable shipping as needed , please ignore the Amazon shipping time .About Feedback: YAZILIND JEWELRY LTD pays great attentions to the shopping experiences and feedback from the customers.Your satisfaction and positive feedback with 5 stars is the motivation for us to move forward.It would be highly appreciated if you could leave a good review or a positive feedback to our product and our store. If you have any problems with our items or services, please feel free to contact us first before you leave negative feedback. We will do our best to solve any problems and provide you with the best customer services.Service:We strive to put our hundred percent to resolve your issues and delight you .Picture:product photos are of the actual item you'll be receiving; no computer generated imagery is used .Differences in color may be caused by some other reasons such as color reflection in the monitor, lighting, background etc.However, if you believe that the item received is in wrong color, please contact us to see if a return or refund is possible. 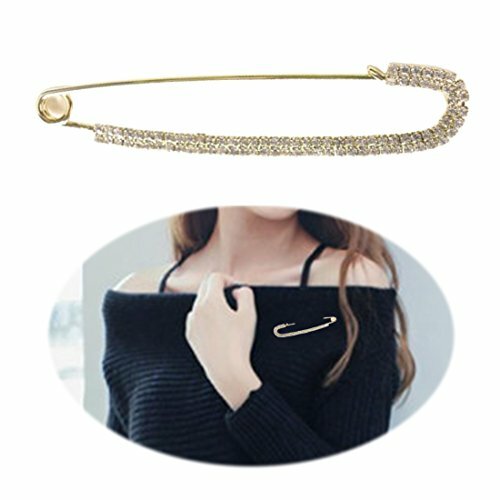 Copyright © Wholesalion.com 2019 - The Best Prices On Unique Brooch Pin Online.